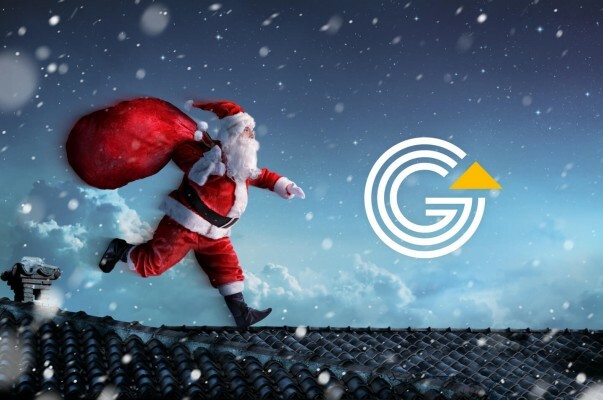 Generational Group is proud to be title sponsor of the 2018 Dallas Jingle Bell Run charity event for the fifth year in a row. 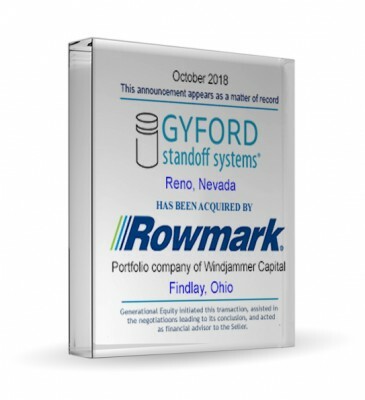 Generational Equity is pleased to announce the sale of its client, Gyford Productions LLC, to Rowmark LLC. The acquisition closed October 31, 2018. 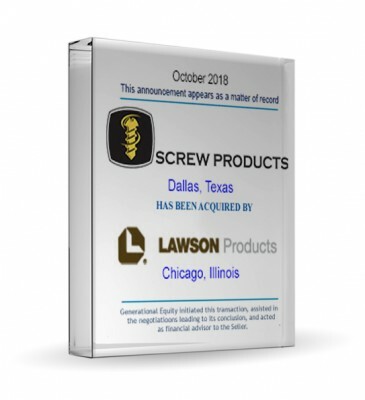 Generational Equity is pleased to announce the sale of its client, Screw Products Inc., to Lawson Products Inc. The acquisition closed October 1, 2018. 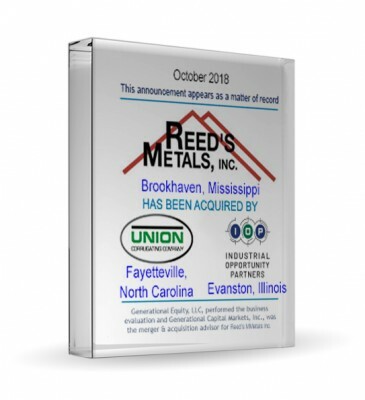 Generational Capital Markets, Inc. is pleased to announce the acquisition of Reed's Metals Inc. by Union Corrugating. The acquisition closed October 31, 2018. 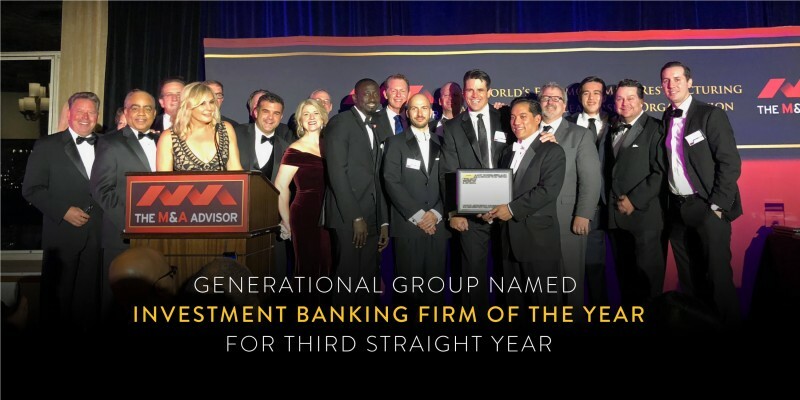 Generational Group was honored with two awards at The M&A Advisor's 17th annual M&A Awards on November 6, 2018, including the prestigious Investment Banking Firm of the Year Award, marking the third year in a row we've earned the recognition.